The culinary industry is one everyone takes part in – even if they’re in the dining room instead of the kitchen. Everyone appreciates good food, and this means food-related companies are in high demand. Restaurants, catering organizations, specialty food stores, and even the mom-n-pop grocery store plays a role in keeping stomachs full. And while good ingredients and great recipes can make anyone happy, sometimes these companies need help on the promotional side. Here are some ways to use video in the culinary field, and how hiring Orlando video production specialists can help with the presentation. Restaurants and food stores depend on their ability to tickle taste buds – but that isn’t the only sense they appeal to. There’s a reason advertisers ask for the best-looking dish when they make commercials or promos. Restaurants can take advantage of an Orlando video production company that understands angles, shadows, and top-notch production practices. This makes it easy for them to make a restaurant and its menu look irresistible. A similar approach can be taken for catering companies. There’s a lot of people who wonder what their catered meal will taste like, but also what it will look like – that’s where video experts come in. Orlando camera crews are great at making food look good, but also in showing the specifics of the menu up close and in a detailed fashion. This is useful in other applications as well. Food companies may turn to recipes to fuel their content marketing needs – it is topical, helpful, and easy to translate into lists for things like blogs. But recipe videos are even better. Think about how much it helps, especially for food novices, to see a detailed video of someone preparing a dish so they can follow along. A company that specializes in food may try recording their own recipe videos. Knowledge of culinary arts is one thing – but not everyone has the equipment or training to make a pro-looking recording. Bringing in experts can help anyone get more from their videos. And while culinary schools are firmly a part of two industries, they can benefit from great video production as well. 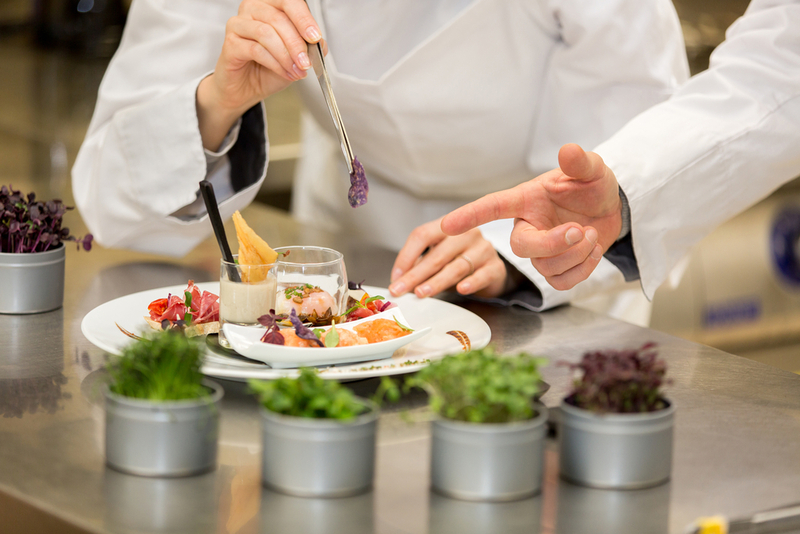 Culinary schools are in both the culinary and academic industries. Given that both these types of organizations benefit from using videos, any culinary school should have a dedicated video partner. Whether used to promote the school itself or convey information in a given course, videos are one of the best media types out there for conveying wisdom about the culinary arts. Our Orlando Video Production Company, NG Production Films, can communicate effectively and efficiently to produce high-quality video production for the culinary industry. We have over a decade of experience to produce the next video production project for your organization. Call NG Production Films today for a free no obligation consultation at 877-203-2895 or fill out our contact form for a prompt reply.